Why the heck would Charles II deign to recognize some squawking birds? According to legend, the king and his royal astronomer were looking through a telescope when ravens flew overhead, befouling both man and telescope. The outraged king decided to kill the ravens, but after the royal astronomer reminded him of the legend, Charles II contented himself with moving the observatory to Greenwich, and leaving the ravens at the Tower. The Yeoman Warder Ravenmaster (who cares for the resident birds) lives in an apartment within the Tower walls. Ravens live about 25 years, though the Tower's oldest raven lived to age 44. Detail of a photograph by A. Norppa. The anecdote, says Sax, is absurd. In his new book, City of Ravens (The Overlook Press, 2012), he explains that ravens are diurnal, so they wouldn’t have interfered with nighttime observations. And moving the observatory to Greenwich wouldn’t have solved anything, since the area had the same birds as London. Jackie, the “lucky” raven, lodged at the nearby Watney’s Stag Brewery, may be one possible origin of the legend. Jackie engaged in a bit of airplane spotting, using his distinctive caw to warn brewery workers of approaching bombers. 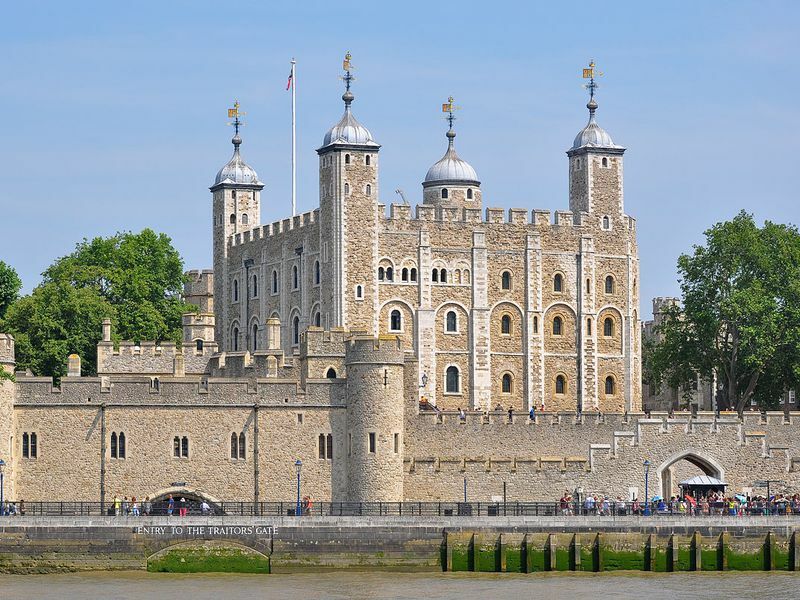 The legend of Jackie may have been conflated with an existing legend of Tower ravens serving as a warning system should anyone try and steal the Crown Jewels.